In short, yes. By having user reviews, it boosts the word count on your website page which has a direct effect on boosting your position in the search engines. 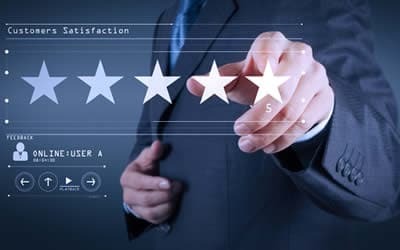 Google also recommends user reviews and there is a connection between what the user searches for and what the search finds within the reviews. Statistics reveal that 84 % of users trust online reviews as much as they trust their friends. And don’t worry if you haven’t got 5 out of 5-star ratings for all your reviews as it has been shown that customers will buy more when ratings are between 4.2 and 4.5 as full stars are seen as doubtful. Facebook and Google Reviews all count but don’t forget to acknowledge the customer who has bothered to review you otherwise Google will perceive your business as being inactive as you are not responding to your customers. As a case in point, when we took on a project recently for a client, we discovered they had 34 Google reviews but had not responded to any of them. Once they replied to each customer individually, over a period of 6 months, they climbed the search engine rankings and are now number 1 – success.